Mrs. Rina Prihtyasmiarsi Soemarno was inaugurated as the Indonesian Ambassador to the People’s Republic of Bangladesh by President Joko Widodo on 18 May 2017. 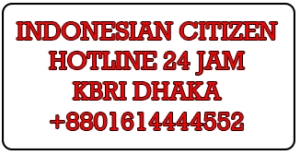 She is resident in Dhaka and is also accredited to the Democratic Federal Republic of Nepal. Before assuming this post, she was Director of the Secretariat of the Directorate General of Multilateral Cooperation at the Indonesian Ministry of Foreign Affairs, a post she took on since 2012. Mrs. Soemarno is a career diplomat, joining the Indonesian Foreign Service in 1990. As a diplomat her overseas assignments began in the United Kingdom as a Third, and later, Second Secretary in 1996-1999 at the Indonesian Embassy in London. She was First Secretary, and later promoted to Counselor, at the Indonesian Embassy Brussels, Belgium, in 2002-2006, where she held responsibilities in the field of politics and economy, as well as being head of chancery. Mrs. Soemarno was involved in the formulation of Indonesian diplomacy in multilateral affairs when she joined the Directorate General of Multilateral Cooperation in 2007. She was later assigned as Minister Counselor of the Indonesian Permanent Representative to the United Nations in Geneva, Switzerland, during 2009-2012, where she was heading the economic unit of the Mission also responsible in environment issues. She was also head of chancery in 2012. 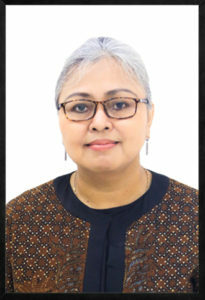 At the Ministry of Foreign Affairs in Jakarta, in addition to her assignment at the Directorate General of Multilateral Cooperation, Mrs. Soemarno was also assigned to various offices at the Directorate General of ASEAN Cooperation, Directorate General of European and American Affairs, and Directorate General of Information and Public Diplomacy. Mrs. Soemarno holds a Bachelor Degree in Psychology from the University of Indonesia in Jakarta and a Master’s Degree in Public Relations from the University of Stirling in Scotland. She is married to Mr. Budhi Yuwono who lives with her in Dhaka, and has one grown son, Mr. M. Faisal Khaeri Yuwono who lives in Jakarta.